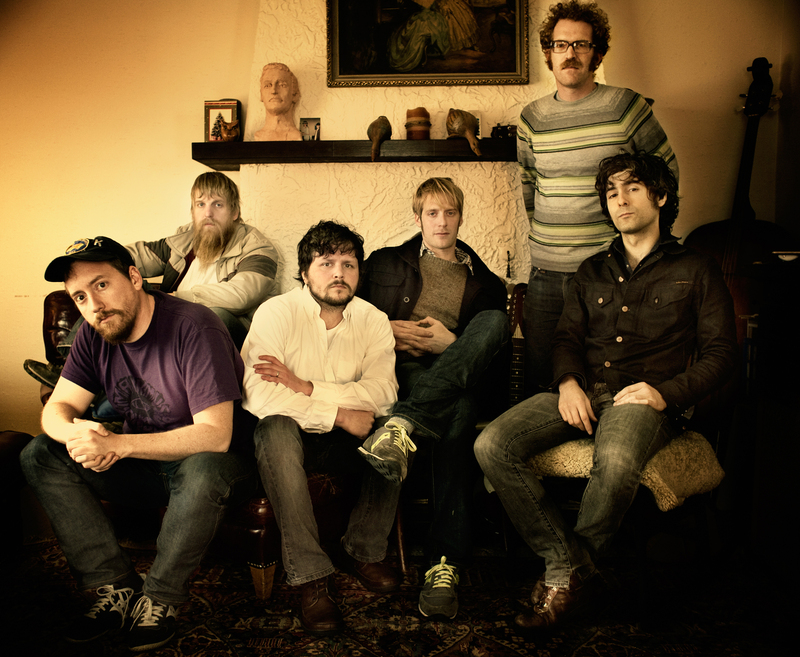 Portland-based indie-folk sextet Blitzen Trapper has been pushing their new single “Tree” for awhile. The first couple of times I listened to it I felt like it was a bit too Peter, Paul and Mary for me. But I loved most of the band’s songs that I caught at the Newport Folk Festival last summer. Blitzen recently recorded their fifth Daytrotter Session that’s definitely worth checking out. I love the live version of “Tree” and all of the other songs…especially “Sadie.” As Daytrotter points out, these guys write some sad songs. There is an unbearable sadness that accompanies much of the new album, more so than on records of the past, though there’s no denying that even in the perkiest of moments, the band is sweet on that sadness and never thinks of it as a cur. They never want to outrun it, but are more interested in seeing what that sadness takes with its coffee and how it lies its head to rest at night. That’s what Americana is all about.